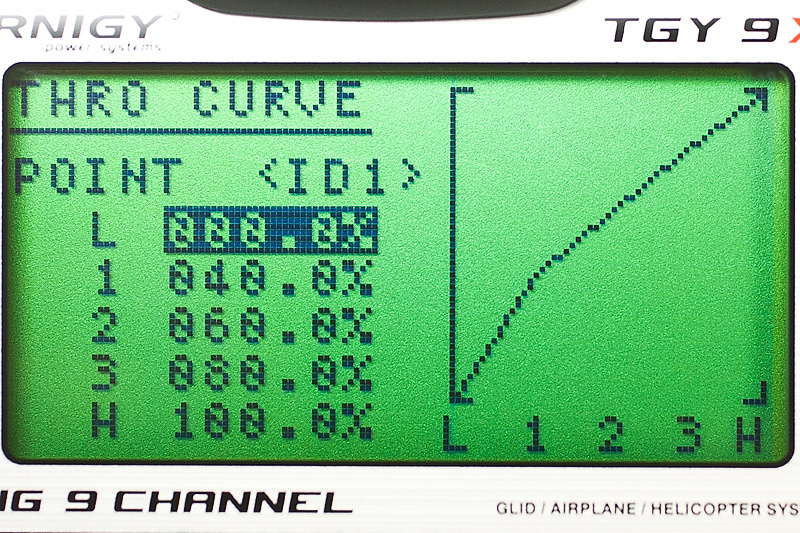 I recently purchased a Turnigy 9x and am in the process of setting up my preferred throttle curves for it. So I figure I’d share. From my understanding, being able to set your throttle curve is the benefit of setting up the initial profile as a “heli” instead of “acro”. To get to the throttle curve section of the menu, hold down the menu button. Select Settings. Then select THR/CV. Currently, I have two different throttle curves link to my [Aux 3] F.Mode switch. 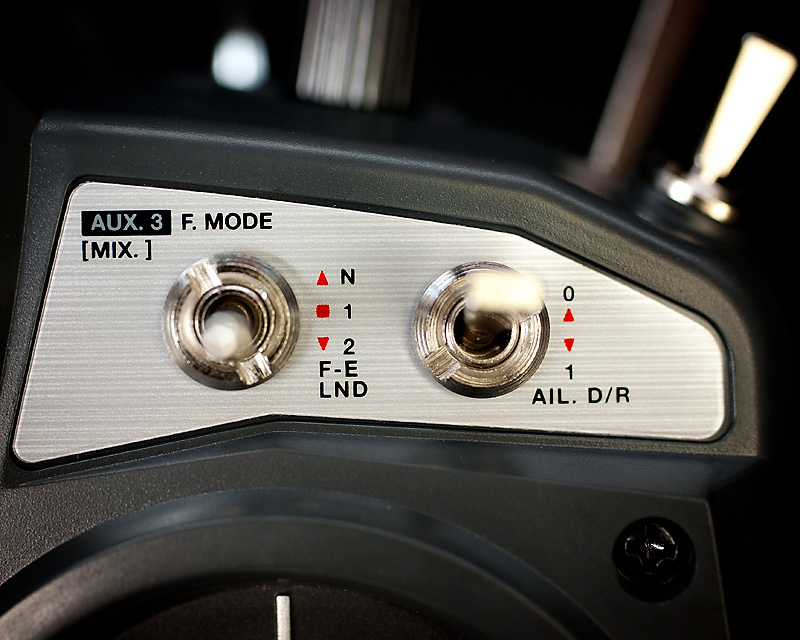 Owners of the 9x will know that the F.Mode switch can be toggle between three settings: N, 1, 2 correlating to Norm, ID1, ID2 in the menu. I think I will make the ID1 settings my Normal in the future. My ID2 position currently has a rudder to elevator mix that I am experimenting with. Being able to quickly switch between different settings in mid flight allows you to do a A:B comparison and makes it easier to find the combination of settings that fits your flying style. 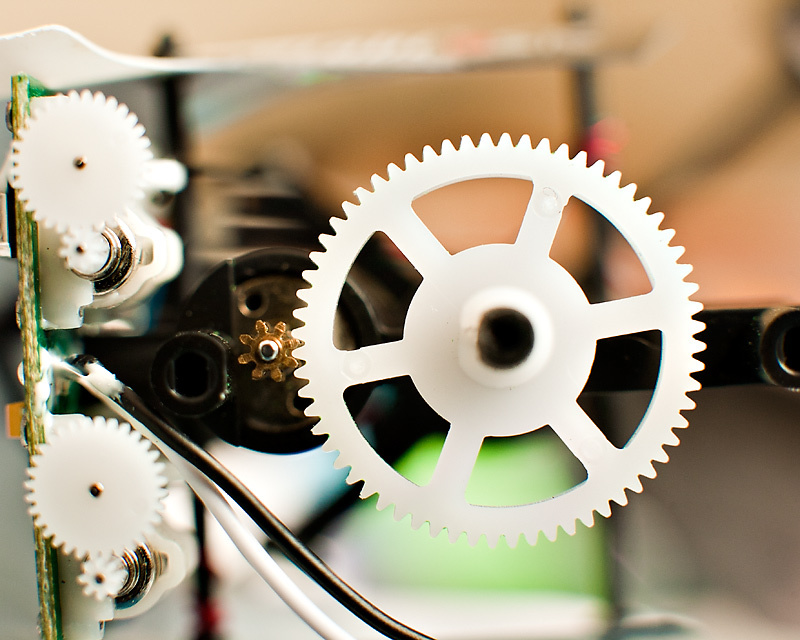 I’ll post more as I complete setting up and fine tuning the Turnigy 9x with the Xieda 9958. 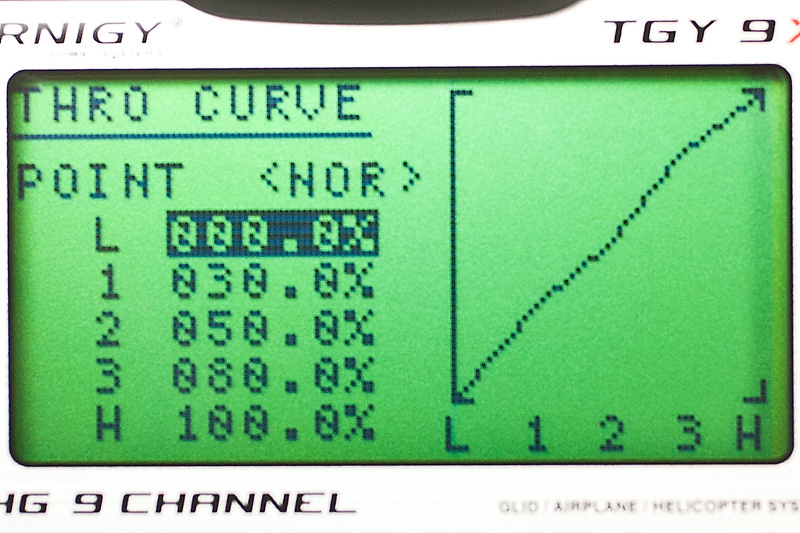 Side note: You notice that the stock 9x firmware gives you the ability to adjust 5 different points on the curve. Similar to the Spektrum family of TX. This is one example of where the custom firmware like Er9x shines. They allow 9 points on the throttle curve. For those who need absolute control. Obviously overkill for a micro heli like the 9958…but it’s one example of the power the Turnigy 9x posses with a custom firmware flash to it. The range on the Xieda 9958 isn’t that great. 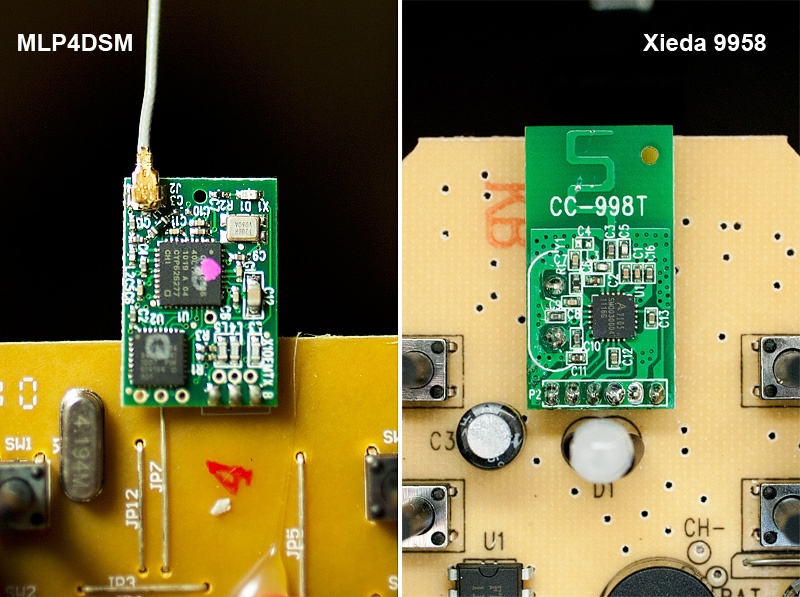 If you open up the transmitter, you’ll notice that there is no antenna wire connected to the 2.4ghz module. For comparision, take a look at the inside of the E-Flite MLP4DSM transmitter. 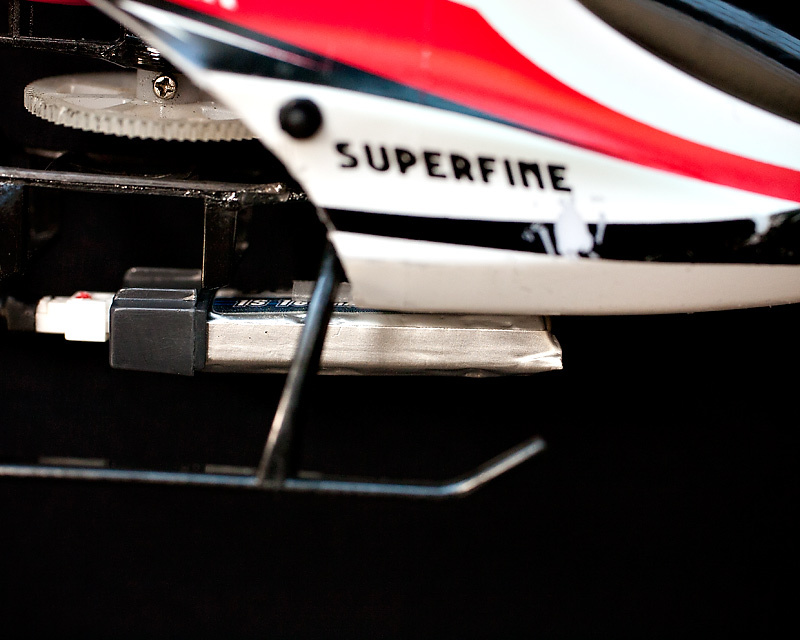 I am currently testing out how mounting the battery lower affects the flight characteristics of the 9958. It seems like it’s improving the pivot on bank turns…but I need further testing and/or feedback from others. 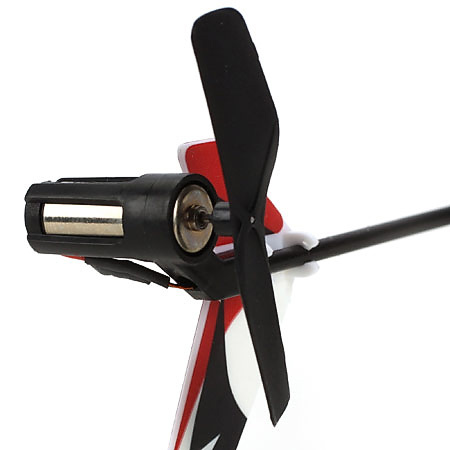 The folks at E-Flite just released a new fix-pitched micro heli. It’s similar to the popular mSR except it’s flybarless courtesy of the AS3X Digital Flybarless system that’s already in used on the mCP X. The new mSR X is touted to be a intermediate step up from the mSR, and not a replacement. Along with the upgrade to flybarless, they fixed some of the annoying things that initially plagued the mSR. Like the new cage around the tail motor which will help prevent the motor cap from popping off and destroying the brushes. The mSR X comes with new 150mAh LiPo. Hopefully they are good quality cells, because it’s actually priced pretty reasonably at $3.99. The mSR X is scheduled for a mid December 2011 release. 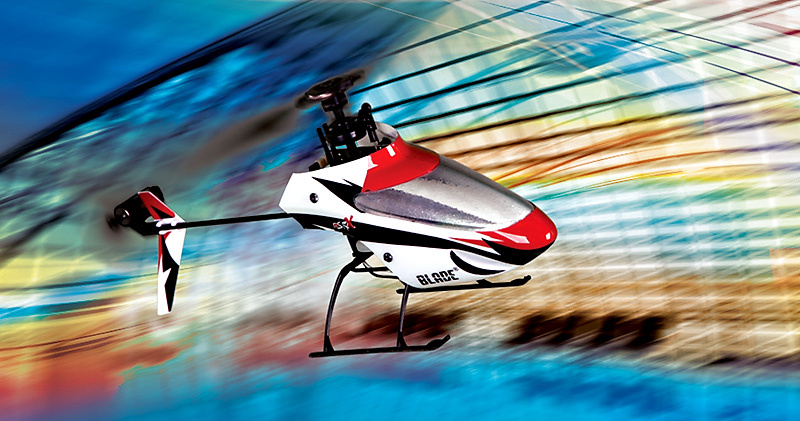 Horizon Hobby will be demoing this new heli at the iHobby Expo being held this week in Chicago. I personally can’t wait to see how it flies and the mods that will inevitably come up for it. The highly anticipated iOS5 was released for the iPhone 4. This is the first major release version that had a working jailbreak from day one. Check out the video I made on how to jailbreak the iPhone. In the video, you get to see the easiest method I came up with to put the iPhone into DFU mode. Here is my steps to easily put the iPhone into DFU mode. Have the iPhone connected to the computer and turned on. Hold down the Home button and Sleep button at the same time. Keep both buttons held down until the phone turns off. As soon as the phone turns off, count to 6 alligators. (Basically, 6-7 seconds) Then release the Sleep button (top button). Make sure you continue to keep the Home button held down. That’s it. Redsn0w will automatically detects when the iPhone has entered DFU mode. Once you see that has happened, you can release the home button at your leisure. Remember, successfully entering DFU mode means the screen will be blank/off. Here’s the video clip of the entire jailbreaking operation. You can watch it in 1080p high res. Hope this helps you figure out the process. Fabricated a carbon fiber main shaft for the 9958. Here’s the stock 9958 weight before and after the carbon fiber shaft upgrade. The stock weight without the battery is above. 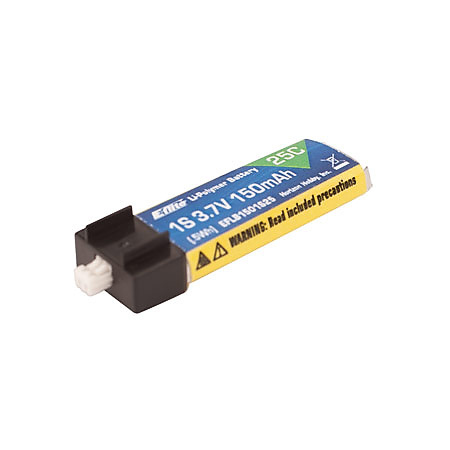 The carbon fiber upgrade 9958 is the photo below. The main motor has a lift of about 42g. 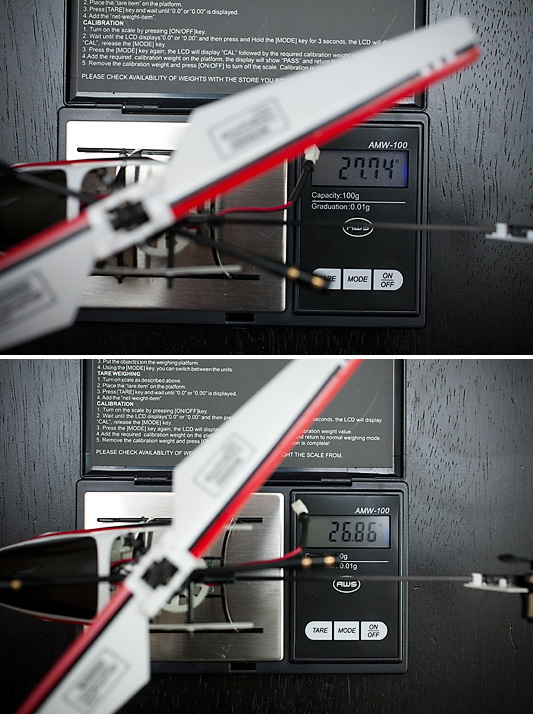 So shaving a gram off the flight weight will allow the motor to essentially be 7% stronger. 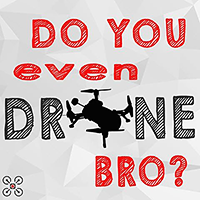 So it’s every gram counts with these micro helis! Top photo is the 9958's stock weight. Bottom photo is with a CF main shaft. Here’s a video with it flying. Unfortunately the battery was mostly gone by the time I thought of turning on the camera. Someone on the RC Groups forum wanted to know the gear ratio of the Blade mSR so they can possibly use them on another RC vehicle. I took a picture and figured I’d share here.